The History of Superman on Film: Part II – The Flops and the Wilderness Years | hesaidwhatnow? This is Part II of Hesaidwhatnow?’s look at the History of Superman on Film. For Part I click here. Despite the difficulties of casting dramas, an overly long screenplay, and a clash between director Richard Donner and producers Ilya and Alexander Salkind, Superman: The Movie and Superman II were huge hits. The Salkinds had fired Donner and promoted Richard Lester to director, giving them total control of the franchise – but would Superman III be better for it? With all ties to Richard Donner cut, the Salkinds were free to produce the type of Superman film they had always wanted to do when they set out to add Superman III to the franchise. Ilya wrote a treatment for the film and hired David and Leslie Newman to draft the screenplay. Richard Lester was again engaged to direct, although this time without having Donner’s shadow cast over him, or his footage to work around. Finally, Ilya saw Richard Prior on an episode of The Tonight Show and immediately wanted to involve him in the project, eventually signing him on to play August “Gus” Gorman, the no-good computer programmer blackmailed into helping plot against Superman. Every one of those decisions, in some way, contributed to the least successful film in the franchise to that point. With Donner dumped from the franchise, Gene Hackman again refused to participate in the film, taking with him some of the gravitas that his presence lent the first two movies. Margot Kidder had also voiced her disapproval of Donner’s firing, and as a result found her role in the third instalment reduced to little more than a cameo, much to the displeasure of many Lois Lane fans. After reading the Newmans’ screenplay for the first two films, Donner brought in Tom Mankiewicz to rewrite it, as he was concerned that the tone of the films was too campy. 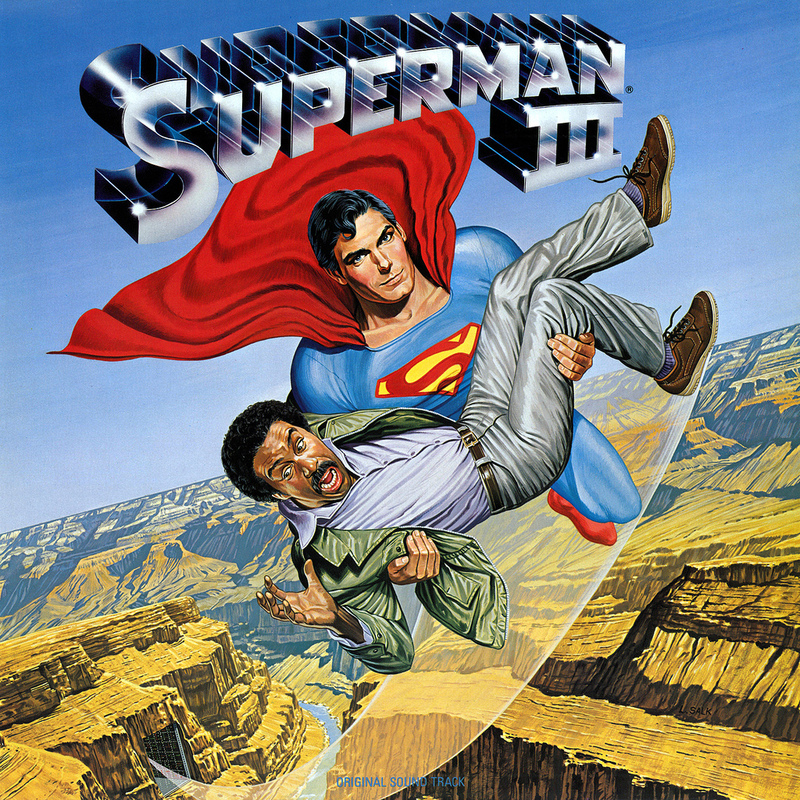 Without Donner and Mankiewicz there to amend the screenplay for Superman III, it remained firmly rooted in slapstick and campness, a contrast to the more serious tone of its predecessors that critics and audiences loved so much. This wasn’t helped by Lester’s approach to direction. As Christopher Reeve once said, “Lester was always looking for a gag – sometimes to the point where the gags involving Richard Pryor went over the top.” This, of course, wasn’t helped by the fact that Pryor had been cast in the movie in the first place. Whilst an extremely funny man who has made some great movies, his involvement in the Superman franchise was almost universally lambasted, and he became somewhat of a touchstone for all that was wrong with the film. Superman III was far less successful than its predecessors, grossing less than $60 million domestically and barely passing $70 million worldwide. As a result, the Salkinds decided that the franchise had run its course, and so their involvement ended. It looked as though Superman would hang up his red boots and cape and enjoy retirement in his Fortress of Solitude. The studios, however, had a different opinion. Still seeing Superman as a lucrative character, Canon Films and Warner Bros. took over production. Their first step in bringing a fourth film to life was ensuring that they had Reeve on board to reprise his role. Reeve was reluctant. He was still displeased with Superman III, and saw the farcical treatment of one of America’s great characters in that film as disrespectful to fans. The studios assured him that any new instalments would return to the tone of the original films, but Reeve was still doubtful. Then taking a leaf out of Brando’s book, the studios made Reeve an offer he couldn’t refuse. They said that if he reprieved his role as Superman, they would finance any other project of his choosing, as well as allow him the chance to direct a fifth film in the franchise if one was made. Reeve signed on. With Reeve on board and the Salkinds out, other cast members signed on quickly, with Gene Hackman even reprising his role as Lex Luthor. Fresh blood was introduced with Sidney J Furie directing and the screenplay being written by Lawrence Konner and Mark Rosenthal. Things were looking positive. Sadly though, the studios did not inject the movie with the same resources as were given to the initial trilogy. Canon Films had a long list of movies in development, and did not have the money to finance them all. As a result, the budget for Superman IV: The Quest for Peace was slashed to $17 million, a third of the budget given the first two films, and less than half that of Superman III. Furie also had to cut corners as director. Location shoots were all but out of the question and even sets and costumes were toned back. The result was unsurprisingly another flop – even worse than Superman IV – with the box office receipts not even breaking even with the paltry budget. Fear me! For I am the ultimate villain! I am…Mark Pillow!!! This time there would be no others lining up to resuscitate the franchise. Like the character in first film, the Superman franchise was banished to the wilderness, seemingly with no chance of return. But as with any iconic character, there were those who couldn’t bear to see their idol disappear so meekly. Superman wouldn’t abandon those that needed him forever; he would just take a long time to return. After the disasters that were Superman III and Superman IV: The Quest for Peace, the idea of successful comic book adaptations had all but died. That is until DC’s other tent pole character showed up on screen and proved that it could be done. And then some. Its sequel, Batman Returns, was also a success, pocketing another $160 million domestically. With those sorts of numbers floating around, Warner Bros. were keen for another gravy train, and in 1993 obtained sole rights to the Superman franchise. 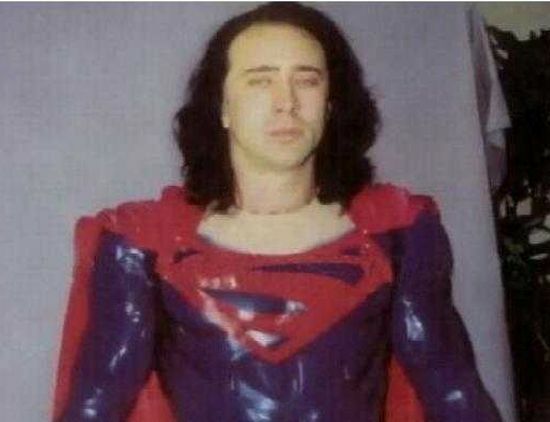 Inspired by Burton’s gritty take on the Caped Crusader, Warner Bros. wanted a reimagining of Superman as well. Producer Jon Peters hired comic book nut Kevin Smith (writer of Mallrats, Clerks and Dogma) to draft the screenplay. 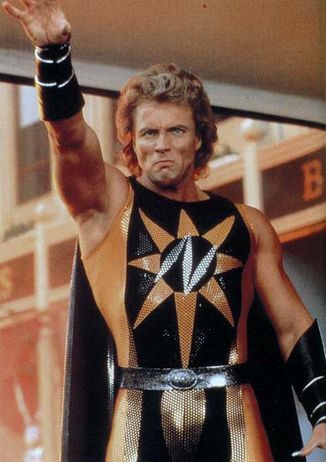 What Smith came up with was Superman Lives, a dark tale that put Superman in a black suit called the ‘Eradicator’ and pitted him against notable villains Brainiac and Doomsday. When it came to finding a director, Warner Bros. couldn’t look past the man that inspired them to pursue the project in the first place. Tim Burton was keen and signed on board, leaving the Batman franchise to be taken over by others (unfortunately we all know how well that turned out). Burton wasn’t a fan of Smith’s screenplay, however, and brought in Wesley Strick (Cape Fear, Arachnophobia) to rewrite it. Smith was obviously furious. The result of Strick’s effort was an odd story in which Superman now squared off against a bizarre hybrid of Braniac and Lex Luthor called Lexiac. Warner Bros. didn’t like it at all, scrapped it, hired Dan Gilroy to have a go, didn’t like his version either, and scrapped it too. At that point Warner Bros. decided to drop the project all together and instead focus on, of all things, Wild Wild West. Now it was Burton who was furious, having a year of his career wasted. To think – in that time he could have easily squeezed in a movie starring Johnny Depp. Jon Peters didn’t give up quite as easily, and tried to see if he could pick up momentum again to get the film going. Interestingly – and potentially somewhat controversially – he turned to the star of Wild Wild West, Will Smith. Smith saw the potential controversy of having an African American play a traditionally white character and declined, adding in a quote attributed to him that, “You can’t be messing with white people’s heroes in Hollywood.” Will Smith instead got to taste the superhero life in Hancock, just as Nicolas Cage starred in Ghostrider and its sequel. Not to be deterred, Warner Bros. saw an opportunity to correct both problems at once, by squaring the heroes off against each other in a Batman vs. Superman double whammy. Andrew Kevin Walker (Se7en) produced a screenplay in which the characters were pals – with Bruce Wayne even being best man at Superman’s wedding – before a growing difference in their values saw them clash. Initially McG (Charlie’s Angels, Terminator Salvation) was set to direct, and later Wolfgang Peterson (Troy, A Perfect Storm). Eventually, however, that concept got scrapped. When Batman Begins showed that rebooting a franchise could be done, momentum for another Superman film started anew. J.J. Abrams (Armageddon, Lost) had created a screenplay called Superman: Flyby. It was a true reboot – an origin story showing not only Superman’s birth, but his death and ultimate resurrection after a stop in a Kryptonian heaven. The project gained real impetus, with Brett Ratner (Rush Hour, X-Men: Last Stand) on board to direct, but as always, the search for the actor to step into the red boots of the Man of Steel was the number one goal. The studio was high on Josh Hartnett after his successful turns in Black Hawk Down and Pearl Harbour, seeing him as the next big thing. They offered him a huge salary to sign up for a trilogy of Superman films, with some reports suggesting the figure was as much as $100 million. Despite the jaw-dropping money, Hartnett turned down the offer, worried that he would be forever typecast, and would be unable to pursue other interests until the trilogy was completed. Other actors were considered, including David Boreanaz (TV’s Bones and Angel), Brendan Fraser, Ashton Kutcher, and Anakin Skywalker himself, Hayden Christensen. When Ratner left the project, McG came back on board, and he wanted to take a leaf out of the original film’s book at hire a relative unknown. Included on the list of actors he considered were TV actors Jason Behr (Roswell), Jared Padalecki (Supernatural), and Henry Cavill (The Tudors) – the latter a name that would come up again. Before an actor was found to play Superman, McG pulled out of the project again, this time because Warner Bros. wanted to film in Australia, and McG didn’t want to leave the US. Bryan Singer was approached as his replacement – a sound choice given the success of the comic book adaptations he had recently directed: X-Men and X2. It was during the filming of X2 in 2003 that Singer had actually come up with an idea for a Superman film story. It involved Superman returning to Earth after a five year absence, and he pitched this idea to the studio in 2004 as an alternative to Abrams’ Superman: Fly-By screenplay, which he saw as too great a departure from the Superman tale the world knew and loved. It was well received, and Warner Bros. signed him on to direct and develop Superman Returns, leaving Ratner to take over the helm of X-Men: Last Stand. Singer was locked in, and the project was given a 2006 release date and a hefty budget to work with. Warner Bros. waited with hope to see whether Superman Returns would see Superman reclaim not only his mantle as Earth’s hero, but as a box office hero as well. Log back in to Hesaidwhatnow? to read the third and final part of The History of Superman on Film, which looks at Superman Returns and Man of Steel.